DataComet X For Mac offers Mac users fast, flexible, reliable, high quality terminal emulation for Mac OS X. Compatible with Mac OS X 10.2 and above. VT100, VT220, VT320 emulation for Linux, UNIX & VMS systems. PC-ANSI + SCO-ANSI emulation with custom PC-ANSI fonts. IBM-3279/5250 terminal emulation for IBM enterprise and AS/400 systems. Supports Shell, Telnet, and Serial connections. Support for inline SCP, ZMODEM, IBM IND$FILE file transfer. 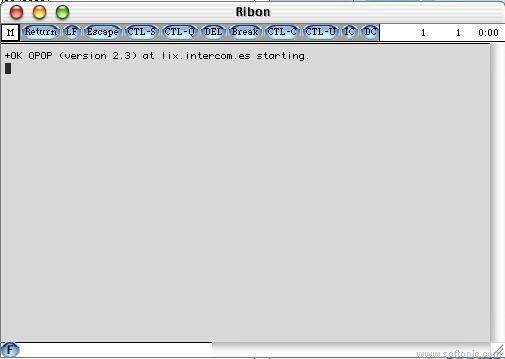 *DataComet X For Mac supports Shell, Telnet, and Serial connections. *DataComet X For Mac support for inline SCP, ZMODEM, and IBM IND$FILE file transfers, with automatic translation (Binhex, MacBinary) and document launching. *Multiple window interface supports many host sessions. Built-in text windows allow host commands to be sent to a session with a single right-click. *Flexible and easy to use key remapping facility. *Extensive scriptability using built-in macro language and AppleScript. *"Watch Me" macro recording for simplified session scripting. *On-screen buttons to send text and execute macro commands. *Flexible translation for multinational character set support. *On-line documentation: Control-Click or Control-Menu Select displays documentation for dialog and menu items. Qweas is providing links to DataComet X For Mac 10.2.1 as a courtesy, and makes no representations regarding DataComet X For Mac or any other applications or any information related thereto. Any questions, complaints or claims regarding this application DataComet X For Mac 10.2.1 must be directed to the appropriate software vendor. You may click the publisher link of DataComet X For Mac on the top of this page to get more details about the vendor.